OneLogin Protect (formerly OTP) 3.3 provides administrators with the option to require that users secure their Android phones and tablets by enabling Screen Lock using PIN, password, pattern, or fingerprint. 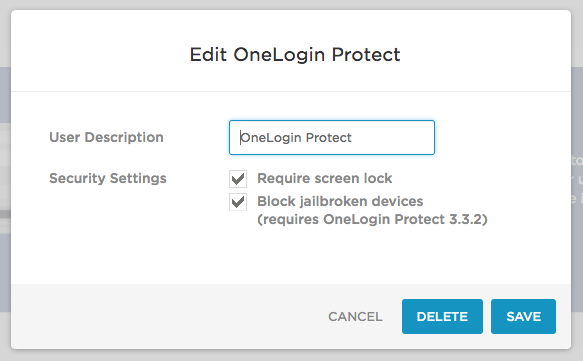 If administrators choose to require device security, users with an unsecured device will be prompted to secure it when they first configure OneLogin Protect on the device (new installation), when they launch an already-configured OneLogin Protect app on their device (after upgrading), or when they attempt to accept push notifications (after upgrading). A button takes them to the device setting screen where they can enable security. Why are we adding this option and recommending it strongly? For second-factor authentication with OTP to provide a strong second line of defense against intrusion, the device that hosts the OTP app must itself be secure. You don't want a stolen password and a stolen phone to provide easy entry to your OneLogin user account. 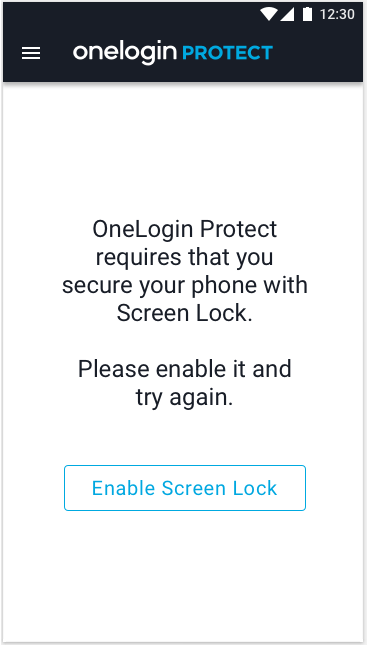 To enable the Screen Lock requirement, go to Settings > Authentication, select OneLogin Protect from your existing factors or click New Auth Factor to add it, and select Require screen lock when you configure OneLogin Protect. For more information about OneLogin Protect, see OneLogin Protect for Android.